Houses & Homes VA: Short Sale VS Price Reduction – Which is Right for You? Short Sale VS Price Reduction – Which is Right for You? This is a question that is asked many times of real estate agents by homeowners with serious financial difficulties. It’s not an easy decision to make but when time is not on your side, you may not have a choice. If you are in a situation where you simply cannot pay the mortgage than waiting may be the worst thing you can possibly do. Let’s say that your home is currently up for sale and you haven’t had a single showing. If the interest is not there on the part of home buyers than the fact that your home is actively listed is not helping you at all. Time is ticking and if you’re already behind on your payments. The bank is already aware of your situation and I can guarantee you that if you don’t do something they will have no choice but to begin foreclosure proceedings. 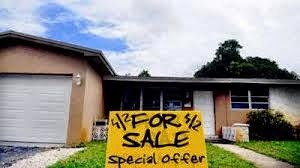 As bad as a short sale might seem to you, it is a better alternative than a foreclosure. It’s important to remember that with an approved short sale the bank is willing to accept the sale price and will not expect you to pay the difference between the actual sale price and what is currently owed on the home. If your lender approves a short sale price of $150,000 even though you currently owe $200,000, you won’t owe them the $50,000 difference. This may not be the case in a foreclosure. Losing your home is bad enough; do you also want to owe money even though you’re no longer living there? A short sale is a complicated process and takes time. One of the advantages is that if you have applied for short sale approval you won’t keep getting collection calls from the lender. Once they are aware of your application you can breathe easier; at least for a little while. Approval normally takes between 2 – 6 months, maybe more. This can also provide you with the time you need to start working on “plan B”. Let’s face it; unless something changes you will be looking for a new place to live regardless of how your home is sold; foreclosure, short sale or the traditional route. There is one thing that you must remember if you decide that a short sale is the right decision for you. You are asking the bank to “forgive” a large amount of debt that you owe them. It is in essence a “gift” and the bank is fully aware that they are losing a substantial amount of future revenue if they approve you. Be patient and most of all; be prepared to “prove” beyond any doubt that you are experiencing extreme financial duress. Offers made by interested buyers may be (and often are) less than the bank is willing to accept. At this point you are no longer the one making the decision, the bank is. But at least you now know the minimum amount that your home can be sold for and you are doing all that you can to make the best out of a bad situation. So, is a short sale the best solution for you? I can’t answer that question here but you should talk to your lender, your real estate agent or an attorney to decide what the best decision is for you at this very difficult time in your life. One thing is certain; doing nothing is the worst decision that you can possibly make and one that you will have to deal with for many years to come.